Panchkula is a well planned city of state of haryana. Panchkula city, was established in the year of 1995 as district. It is a satellite city of the Union Territory of Chandigarh. The prestigious Chandimandir Cantonment Headquarters of the Indian Western Command, is also located in Panchkula city. There are five towns in the district named Panchkula, Barwala, Pinjore, Kalka, and Raipur Rani. The only Hill station in Haryana called Morni is also in this District. In 2011, Panchkula had a population of 561,293 of which male and female were 299,679 and 261,614 respectively. Panchkula and Mohali (in Punjab) are two satellite cities of Chandigarh. These three cities are collectively known as Chandigarh Tricity. The word panchkula is derived from combination of two words panch (local) + kul (Sanskrit: कुला) (canal) which mean the city of five canals. Possibly referring to five irrigation canals which distribute water of ghaggar river from nada sahib to Mata Mansa Devi. The Nada canal has now been eroded by the river and most of the kul’s pass through the cantonment of Chandimandir towards Mansa Devi. The canals are a beautiful example of community property and are maintained by the villagers along the way, with distribution days decided. The canals were made by a ruler in the past, and follow the contours to take water to levels much higher than the river at the same spot. Though the district came into existence in the mid of last decade of 20th century, yet its antiquity is beyond any doubt. The earliest inhabitants of the district were a primitive people using stone tools of the lower palaeolithic age such as choppers, hand-axes, etc. These have been discovered from Mansa Devi area (Bilaspur), Pinjore and Suketri. In the ancient time Aryans traversed the region emotionally. The district is also associated with Pandavas who enroute to Himalayas during their exile stayed here for some times. The place was known as Panchpura later corrupted to Pinjore. The name Panchpura was deciphered from the Pinjore Baoli Inscription found from here. Pinjore is also mentioned in ancient literature1. The region was also indirectly under the sway of the foreign Kushan and Yaudhey rulers. This fact is corroborated from the recent finding of Kushan bricks from the adjacent territories of present Ambala district. According to Majumdar, this region had been a part of Gupta dynasty. This fact is based on discovery of silver coins of Gupta dynasty. Towards the close of the seventh and first part of the eighth century A.D., the district fell a prey to the imperial ambitions of Yasovarman of Kanauj and Lalitaditya, the ruler of Kashmir. During the 12th century A.D., the area was acquired by the Chauhans of Delhi. They restored peace and order in the area including adjoining district of Ambala. The inscription , dated A.D. 1164 gives an idea of the role which the region played in resisting the Muslim invaders. In this context, it is said that Kilhana , maternal uncle of Prithviraj-II was appointed as governor of Hansi and he defeated the ruler of Panchpura (Pinjore) and extended Chauhan rule over that region. The district finally passed on to the Muslim rule as a result of the decisive victory of Shihab-ud-din Ghuri over Prithviraj -III in the Second Battle of Tarain (A.D. 1192). After the death of Shihab-ud-din Ghuri, Qutb-ud-din Aibak established Muslim rule in North India. The region was also included in the Delhi Sultanate. Tabakat-i-Nasiri refers to the victories of Sultan Nasir-ud-din Mahmud in the vicinity of Pinjore and the loot of the spoils from there. After Firuz’s death, the region felt the full force of those intensive discords which also disturbed Delhi-kingdom. Consequently, the adjacent territories and this area went out of the control of Tughlaqs. The invasion of Timur(1398) destroyed the whole countryside in the region upto Siwalik hills (possibly including Pinjore). But his sway did not last a long period. Thereafter the area passed on the Mughals. Akbar, the Great, had a vast area under his control including this region. Fidai Khan, Aurangzeb’s Master of Ordnance laid a beautiful garden at Pinjore. The region was conquered by Rohillas but they were soon expelled by the Marathas. The Marathas were badly run over by the British and major portion of this region passed under the British in 1803. The area now forming part of Bilaspur village about three kilometres of east of Manimajra was under the ruler of Manimajra. The ruler of Manimajra (Gurbaksh Singh) got built the old shrine of Mata Mansa Devi in 1815 A.D. The area now including Kalka was a part of erstwhile princely State of Patiala but was acquired by the British in 1846. Later on it was included in Simla district. After taking over the Chiefs of Ambala area under their protection, the British controlled the affairs of all the states in the region in a most effective manner through political agency at Ambala. The political agency of Ambala was transformed into Commissionership under the Commissioner of Cis-Satluj States and the political supervision and control over the States was intensified . By 1846, several chiefships had lapsed owing to their failure to have male heirs and so called break-down of administrative machinery. The British acquired strips of territory around of Ambala which was included into Ambala district. By 1858, the whole of Haryana territory was a part of the Punjab. The Kalka area, a part of Simla district, was transferred to Ambala district in 1899. No change could be effected till 1966. 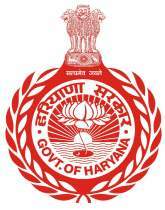 Prior to the formation of Haryana in November, 1966, Ambala district had six tehsils but during the re-organisation it lost Nalagarh tehsil to Himachal Pradesh, Rupnagar tehsil and major portion of Kharar tehsil to Punjab and a few villages including the Chandigarh Capital Project Area to the newly formed Union Territory Chandigarh .Ambala district retained only 3 tehsils -Ambala, Jagadhri and Naraingarh including 153 villages and the Kalka town transferred from Kharar tehsil. Later, in 1967, 153 villages and Kalka town were taken out of Naraingarh tehsil and formed into a separate Kalka tehsil. There was no jurisdictional change during the decade1971-81 with reference to the Kalka tehsil. The Ambala district experienced jurisdictional changes during the decade1981-91. Panchkula tehsil was created by transfering 77 villages of Kalka tehsil and 19 villages of Naraingarh tehsil in October, 1989. Out of these 96 villages, four villages were fully merged in Panchkula Urban Estate . The full-fledged Panchkula district came into existence with effect from 15-8-1995. Now it has three tehsils Kalka, Panchkula and Raipur Rani.